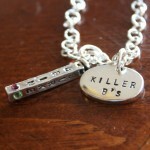 Gift ideas include a personalized necklace, bracelet, keychain or ring. Stamp it with the names of her children, grandchildren, special pet, date or favorite quote. Please visit www.kandsimpressions.com to order your special gift today. 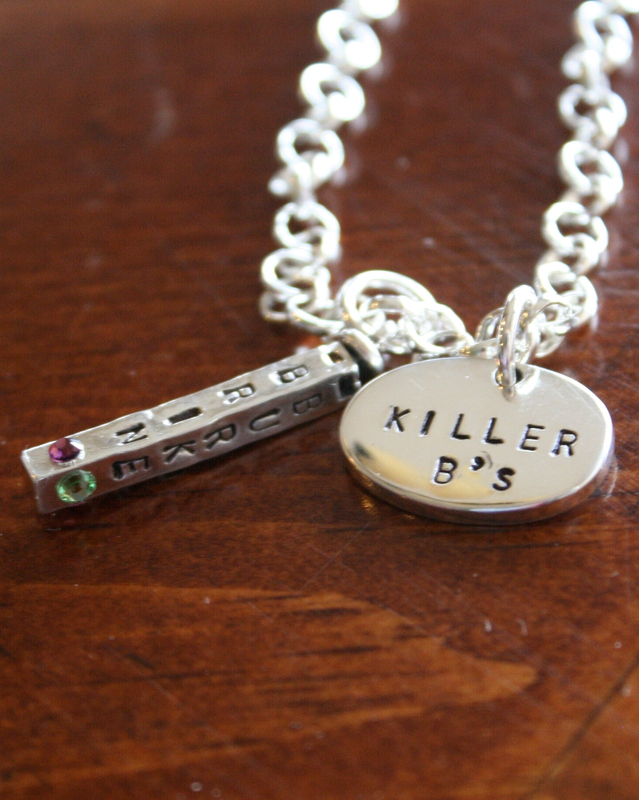 We enjoyed creating this custom hand stamped necklace for a client who was looking for a special gift to give her nanny. She wanted to show her nanny appreciation for the love and friendship she created over the years with her family. 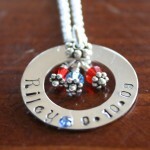 This sterling silver necklace was hand stamped with the name and birthdate of her nanny’s daughter. 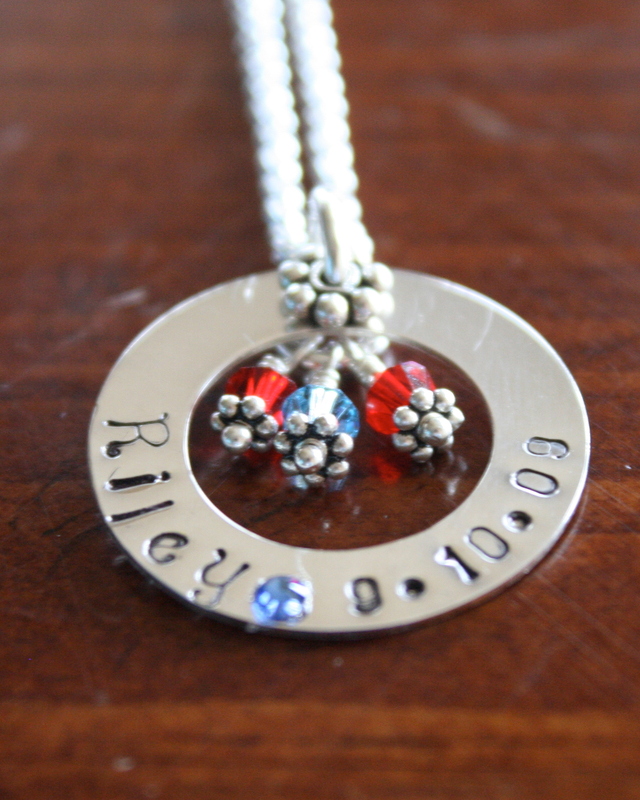 Then, three Swarovski crystal birthstone dangles were added to represent each child she nannied for. 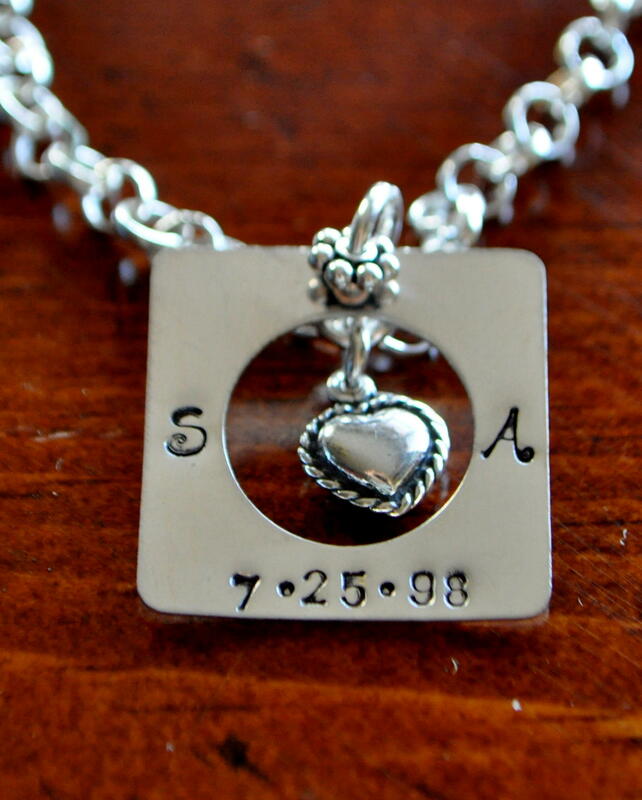 We thought this was a unique nanny gift and one that can be a keepsake to remember the memories they shared together. 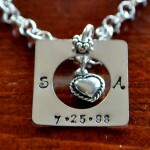 Please visit www.kandsimpressions.com to order your special nanny gift today.